Based on the success of our God Bud AK47 crossing, we’ve now bred our favorite Blueberry marijuana strain with AK47 to create a fruity version of this award winner. Anticipate large sized cannabis plants that are very easy to grow that novice and experienced growers will both enjoy their results. We believe these two popular marijuana strains are perfect pairing of genetics that have created something truly unique. The AK47 is given a fruity flavorful burst while retaining its favorite traits. A very fast flowering sativa strain with just enough sedate effects to avoid being jittery. Jordan of the Islands is very pleased to add Blue AK47 to our growing Blueberry lineage library. 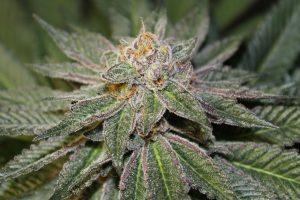 Blueberry x New York City Diesel Great Hybrid one of the best diesels of all tim..
Big dark Indica leaves, sturdy stem, and high yield are the characteristics of t..
Big dark Indica leaves, sturdy stem, and high yield are the characteristics of this strain.